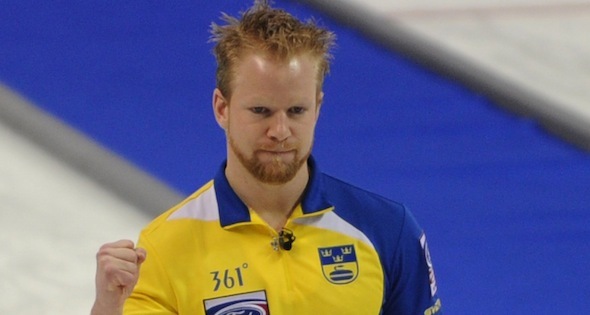 Canada’s gold-medal streak at the Ford World Men’s Curling Championship, presented by Booster Juice, has been snapped by Sweden. Niklas Edin and his team from Karlstad — third Sebastian Kraupp, second Fredrik Lindberg, lead Viktor Kjäll, alternate Oskar Eriksson and coach Eva Lund — defeated Team Canada’s Brad Jacobs 8-6 on Sunday at the Save-On-Foods Memorial Centre, in the gold-medal game of the 2013 Ford Worlds. It’s Sweden’s first world championship gold medal since current national coach Peja Lindholm prevailed in 2004 at Gävle, Sweden. Edin’s team, which won bronze at the past two world men’s championships, made history as the first to ever win the gold medal at both the European and world championships in the same season. It was Sweden’s sixth gold medal — second only to the 34 won by Canada — and the country’s 19th overall. For Canada, it was a 49th medal overall in the 55-year history of the event, tops in that category. Next year’s world men’s championship will be played in Beijing. 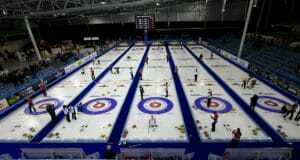 The 2014 Ford World Women’s Curling Championship is scheduled for March 15 to 23 in Saint John, N.B. 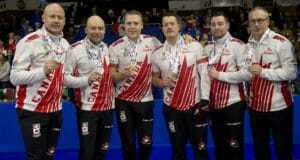 To purchase tickets, go to: www.curling.ca/2014worlds/.